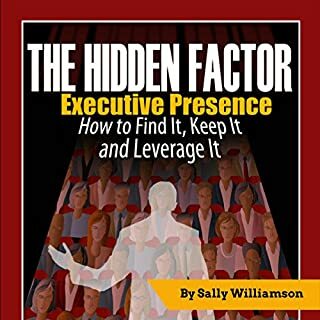 The Hidden Factor defines what executive presence really is, how you get it, and how it can be leveraged to define a leader better than any other quality being measured. 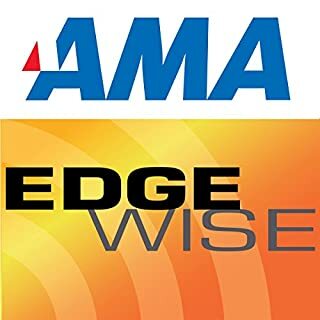 Executive presence has always existed, but in recent years, it has resurfaced as a hot topic among C-Suite executives, succession planners, and development officers. It is one of the top qualities evaluated in potential leaders and is often the missing component that limits promotion. According to Kristi, anyone can refine their presence and become a leader in their domain through commitment and authenticity. Kristi explains how to perform a "presence audit" to assess how others perceive you and how to apply that feedback towards developing a unique professional reputation. Listen and discover how to take initiative, be a visionary, and lead. Executive presence is a quality that everyone wants and very few know how to achieve. 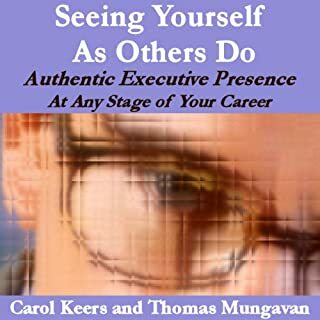 Seeing Yourself As Others Do - Authentic Executive Presence at Any Stage in Your Career tells you what authentic executive presence is and how develop your own executive presence. Often viewed as 'touchy feely', intangible and invisible, most leaders separate their personal lives from their professional lives. Diana Jones, an executive coach for 30 years, argues that this is unwise. In fact the 'soft side' of leadership - empathy, compassion, and authentic communication derived from personal experience - is both powerful and essential to enhancing executive presence, influencing others, and achieving results. As predictable career paths have become extinct in most organizations, managers aspiring to the C-level job are left to their own devices to determine how to advance their careers. Even in companies committed to talent development, guidance to aspiring executives is often vague and contradictory. This happens, executive coach John Beeson argues, because executive promotions are made based on the decision makers' intuitive sense of whether or not a manager can succeed at higher levels within the organization. Beeson decodes these leadership criteria that companies use to make decisions about who gets promoted. What is Executive Presence for Women? Do you have it or want it? Barbara Pachter provides the expert advice that has helped thousands of women achieve the respect and success they deserve. Follow the eight steps on this lively recording and learn what's essential for creating a dynamic professional image. Subjects include correcting common mistakes in your appearance, assembling a powerful wardrobe, even on a tight budget, and sending the right message with your voice and body language. Steve Jobs did it at Apple. Indra Nooyi did it at Pepsi. Alan Mulally did it at Ford Motor Company. What did these business leaders do exactly? They brought very real, positive change to their organizations by using their unique CEO brand. Now, executive coach Suzanne Bates explains how you can exert the same kind of influence at your company. Everyone recognizes leaders with "presence." They stand out for their seemingly innate ability to command attention and inspire commitment. But what is this secret quality they exude, exactly? Executive and CEO coach Kristi Hedges demystifies this elusive trait, revealing that leadership presence is the intersection of outward influencing skills and internal mental conditioning. Using her I-Presence model, the author shows how anyone-regardless of position or personality-can strengthen their impact. People with inborn talent may be good at what they do—but only the mentally tough reach the highest plateaus in their field. And here’s the best news of all: mental toughness is something anyone can learn. The book that cracks the code on executive presence: what it is, why it matters, and how you can achieve it. You know it when you see it. That rare combination of qualities that makes a truly great leader. Until now, executive presence has been hard to define and even harder to develop. 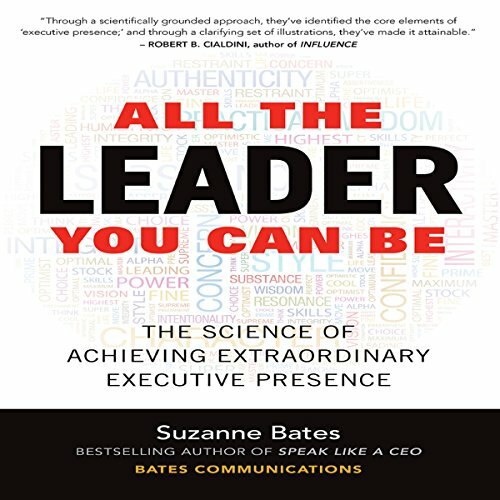 But after years of extensive research, executive coach and best-selling author Suzanne Bates and her team have identified the 15 traits you need to be all the leader you can be. Bates' groundbreaking approach to enhancing executive presence is not a one-size-fits-all plan. Since every leader is different, the book shows you how to measure your individual qualities using a three-dimensional model of your character, substance, and style. 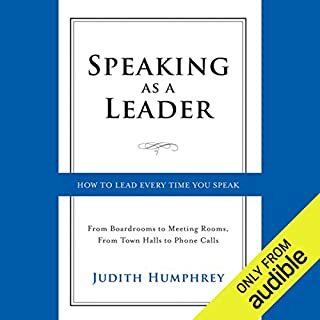 You'll discover how perceptions of 15 distinct facets of your leadership style, such as authenticity, integrity, composure, vision, and intentionality, are proven to help you drive results. You'll learn how to leverage your strengths, improve your weaknesses, and develop an executive presence that is uniquely your own. 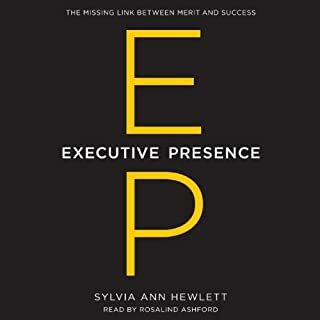 Whether you're taking on a new executive position, facing new and exciting challenges, trying to build a better and stronger team, or developing new emerging leaders within your organization, All the Leader You Can Be has all the guidance you need to achieve extraordinary executive presence. this book is nothing more than a sales pitch to participate in their exp program. rather disappointing.